We’re excited to hear that this beautiful and popular hardware wallet has added BTG, beginning with a Beta in July and now as an officially supported native coin. As everyone new to crypto learns, hardware wallets are among the safest places to hold your crypto coin assets. KeepKey supports a growing list of coins, and we’re please to be featured as part of their vibrant and growing community. Hardware wallets like KeepKey enhance security for your blockchain assets by creating and keeping your private keys on a piece of USB-connected hardware, instead of on your computer or smartphone. If your private keys are not on your computer, then they can’t be stolen from your computer, keeping your assets virus- and malware-proof. KeepKey works with PC, Mac, Linux, and Android; it supports multiple wallets on one KeepKey Chrome app. KeepKey also supports exchange between assets directly on the device using ShapeShift… so you can keep your BTG safe while still having easy access to other coins! 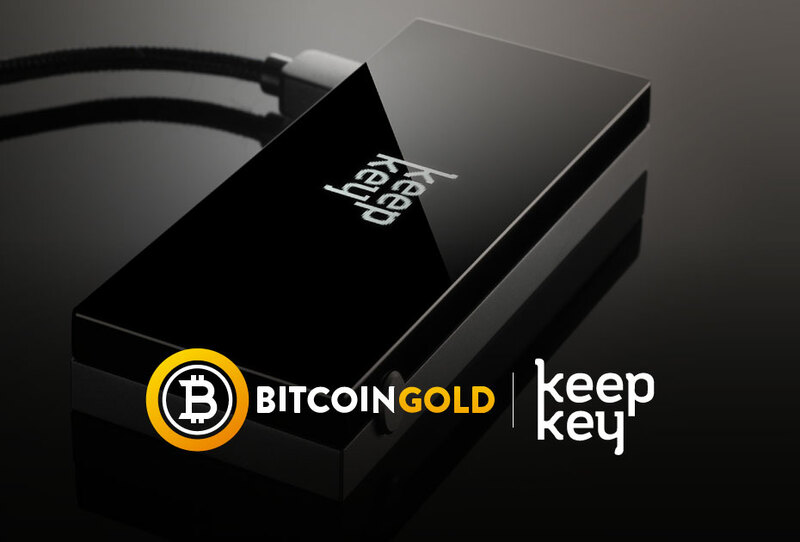 KeepKey is a hardware wallet that secures bitcoin gold, bitcoin, bitcoin cash, ethereum, litecoin, dogecoin, dash, and multiple erc-20 tokens to protected your assets from hackers and thieves. You can purchase KeepKey online from their website using any major credit card, PayPal, or Bitcoin. KeepKey is also available on Amazon. KeepKey, LLC, is a Zug, Switzerland based company that provides a hardware wallet to store and manage cryptocurrencies. As of August 16, 2017, KeepKey, LLC operates as a subsidiary of ShapeShift Ag. Amazon, PayPal, and KeepKey are trademarks of their respective companies.